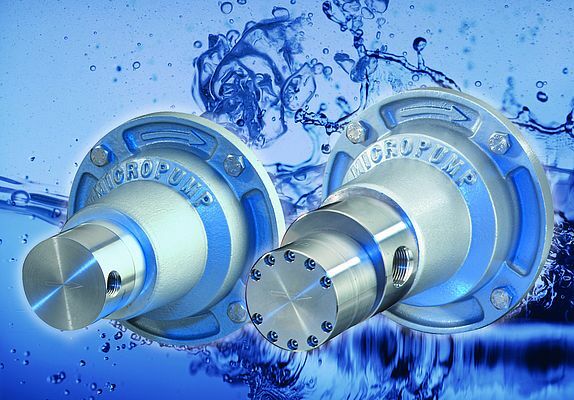 MICROPUMP GEAR PUMPS available in the UK from MICHAEL SMITH ENGINEERS are magnetically driven and well suited to these applications as they provide a well-controlled, smooth flow. They also feature wetted material options including 316 SS, PEEK, PPS, Viton and Kalrez which ensure outstanding chemical capability and withstand the temperature ranges typically associated with mechanical seal flush applications. The models commonly used for seal flush applications are the Micropump Series GC which is a suction shoe style gear pump design which allows the pump to self-compensate for wear. They provide flow rates from 0.405 to 13.9 lit/min.